Begin the New Year with an afternoon of engaging tunes and tales. 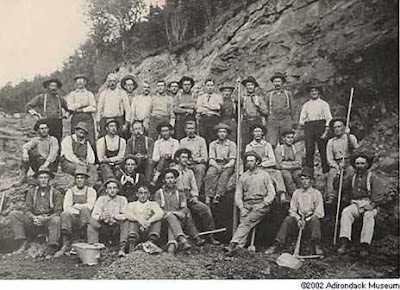 Join the staff of the Adirondack Museum for &#8220Working for the Man: Songs and Stories of Adirondack Lumberjacks and Miners.&#8221 The special program will be held at the Tannery Pond Community Center in North Creek, (Warren County) on Sunday, January 10, 2010 at 3:30 p.m. There will be no charge for museum members and children of elementary school age or younger. The fee for non-members is $5.00. The historic work of loggers and miners was framed by dangerous conditions, back breaking work, long hours, and low pay. Although daily life was hard and often heartbreaking, it was also filled with music, laughter, stories, and strong community ties. &#8220Working for the Man&#8221 will feature musician Lee Knight singing traditional ballads of logging, mining, and rural life. Museum Educator Christine Campeau will join Knight to share historic photographs, artifacts from museum collections, and stories of work, family, and life in Adirondack logging and mining communities. Born in the Adirondacks, Lee Knight now lives in Cashiers, North Carolina. He is a singer, storyteller, song collector, and teacher of folklore, folk life, and folk music. He performs regularly at concerts, folk festivals, and summer camps, where he tells stories, sings ballads, and calls dances. He has appeared with Pete Seeger, Jean Ritchie, Bill Monroe, Alan Lomax, and many others. He will play traditional hand-made instruments. Following the program, Lee Knight will perform at the Copperfield Inn from 4:30 p.m. until 6:00 p.m. Extend the afternoon and make it a party! Join friends and neighbors to enjoy good music and sample food and drink specials offered by the Copperfield. Photo: Ruby Mountain Mine, North River Garnet Company. 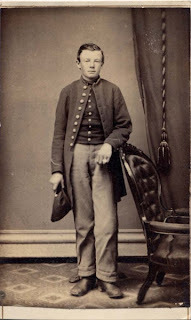 Collection of the Adirondack Museum.